Locust Walk on the University of Pennsylvania campus in University City. 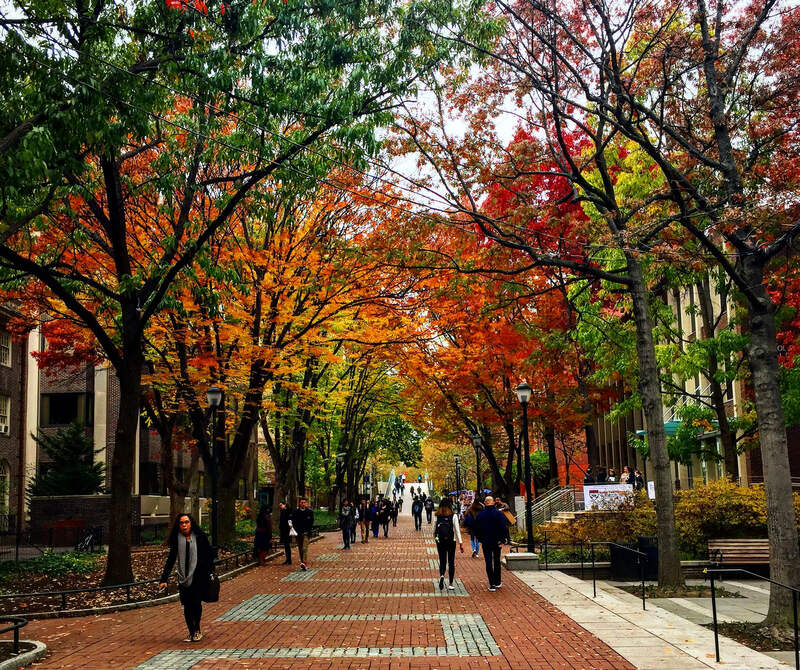 A hub for higher education, this neighborhood is home to top universities, including University of Pennsylvania and Drexel University. The Paul Robeson House celebrates the life and legacy of the Civil Rights icon and musician in his former residence, with personal artifacts and memorabilia and a replica of his bedroom. Tours of this small museum are by appointment. Embrace Japanese culture at Shofuso Japanese House and Garden. The serene site includes a traditional 17th-century replica home and a beautifully landscaped garden with a koi fish pond. Explore the priceless archaeological artifacts at the Penn Museum, including Egyptian mummies, African tribal masks and more than 1,200 objects in the newly opened Middle East Galleries. The Institute of Contemporary Art (ICA) at the University of Pennsylvania is a free museum with innovative installations. The institute, which staged Andy Warhol’s first solo museum show in 1965, prides itself on bringing attention to new artists. Catch innovation on stage at Annenberg Center, a performing arts center at the University of Pennsylvania. Honoring the legacy of early-American botanist John Bartram, Bartram’s Garden is a 45-acre site on the Schuylkill River that includes a botanical garden, wildflower meadow and Bartram’s 18th-century home. In need of retail therapy? Head to University City District for local and national retailers like Urban Outfitters, the chain’s original flagship location, and cool independent shops like Piper Boutique, Hello World and House of Our Own Books. Sample a wide range of Indian classics at family-owned New Delhi Indian Restaurant, the city’s oldest Indian eatery. The dining spot features a lunch and dinner buffet with chicken, lamb and vegetarian options as well as an a la carte menu. Dine on French bistro classics like escargot and steak frites at Louie Louie, a modern brasserie with an outdoor patio. A modern café in the FMC Tower, the new Walnut Street Café serves up American plates breakfast through dinner. Psst: Don’t miss the black scrapple, a gourmet take on a local favorite. POD serves Pan Asian dishes family-style in a trippy setting, with glowing cocoon-like pod seating and conveyor belt sushi.